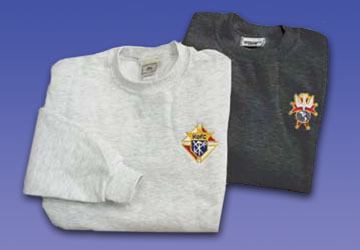 K of C Heavyweight Sweatshirt, 50% cotton/50% poly. Embroidered in Emblem of the Order or 4th degree, Colors: Ash gray or Black. Available Sizes: M, L, XL, 2XL for $24.00, and now available size 3XL for $30.00.